Simply enter promotional code ‘FinancialHelp25‘ to get 25% off your purchase. Thus, if you’re interested in something like FICO Standard, which gives you access to your TransUnion or Equifax FICO credit score, you can get it for $11.96 (vs. $15.95). Also note that myFICO ScoreWatch still offers a 30 day free trial, complete with free access to your Equifax FICO credit score. Just be sure to cancel when you’re done if you don’t want to pay for the service. Of course, if you do want the service, then be sure to use the promo code. How is Your FICO Credit Score Determined? I thought Transunion and Equifax only charged $7.95 to access your scores. That is an interesting concept, but I worry about too much social security number exposure. I use the MyFICO service and I have to say that so far I’m quite impressed. Within the first month of my membership I got email alerts that I had done something that lowered my FICO score. 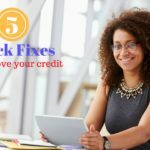 It’s one thing to look at your credit report periodically to make sure you are on track, but it is very cool to get updates on your score every time you do something that affects it.